Levi Roots is a entrepreneur and musician. 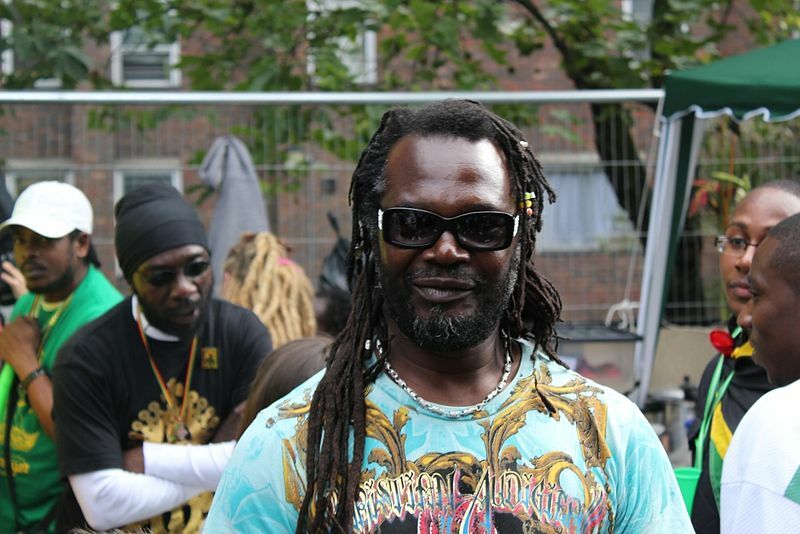 He has performed with popular artists including Maxi Priest and James Brown. He was also nominated for a MOBO award in 1998 for a Best Reggae Act. In 1992, he had performed for Nelson Mandela on “Happy Birthday Mr. President”. He was also a friend of Bob Marley. He spent most of his early years in Britain. He even spent 6 months in prison when his club was raided and he was charged with assaulting an officer. He was again arrested in 1986 for possession of drugs. He gained fame only after appearing in the popular show Dragon’s Den where he gained a whopping £50,000 which he used to fund his Reggae Raggae Sauce. Reggae Raggae Sauce is a bbq sauce which has been available for sale from 2006. It sold over 4000 bottles at the Notting Hill Carnival. When he took his sauce to promote at a food trade show, a BBC producer approached him and offered to appear on the Dragon’s Den. He gained £50,000 in investment for a 40% stake in his business. Soon after his appearance on the show, it was announced by Sainsbury that they would stock the sauce in their 600 stores. After his success, he released another version of his “Reggae Reggae Sauce” which was basically an extension of the original song. In 1998, he published his cookbook which includes his personal life stories and an introduction to some of the Caribbean ingredients he uses in his creations. In June 2008, he appeared as a celebrity on BBC’s Ready Steady Cook. He also hosts a television cooking show on BBC2 named Caribbean Food Made Easy. In 2007, after he sold out his jerk chicken stand, he took his secret recipes to the television show Dragon’s Den. When he reached there, he waited with a man called John. This man had invented a horsewhip that had a wing mirror and there was another guy who had invented clothes dryers which also worked in the rain. To start his business, Roots wanted an investment of £50,000 and when he was called he remembers climbing the stairs with just £20 in his pocket. To him it felt like as if he was being introduced onstage. He had his guitar slung on his shoulder and he went up singing his Reggae Reggae Sauce song. When he stood there in front of potential investors to gain the investment he needed, he continued his gentle little song and got the dragons entertained. After tasting his secret recipe, Richard Farleigh and Peter Jones bought 40% of his business. It was unbelievable for Roots and within just weeks, his sauce had made its way to the shelves of Sainsbury becoming their fastest selling product. In the first year, it even outsold Heinz tomato sauce.